Limited 180 gram vinyl LP pressing including original artwork. 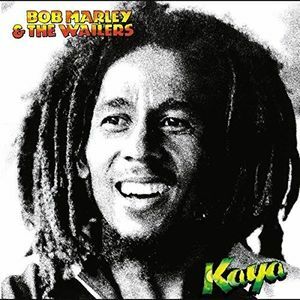 Kaya continued what become an unspoken tradition in the evolution of Bob Marley & the Wailers discography blending western sounds and motifs with the icons and traditions from the very core of Jamaican society. Themes of commonality and unity replace politics more than on previous albums. Bob Marley was a Jamaican reggae singer, song writer, musician, and guitarist who achieved international fame and acclaim. His music in the 70s established his worldwide reputation and produced his status as one of the world's best-selling artists of all time, with sales of more than 75 million records.